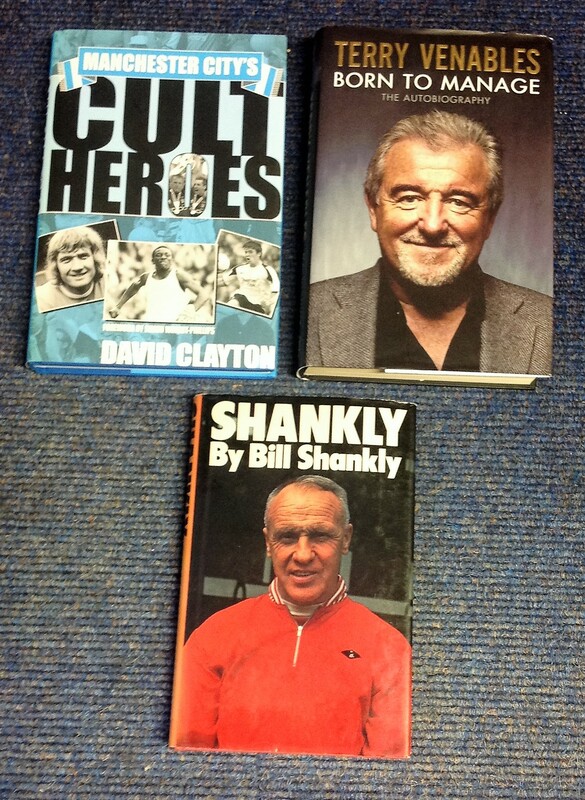 Football collection 3, unsigned hardback books titles included are Manchester Citys cult heroes by David Clayton, Shankly by Bill Shankly and Terry Venables Born to Manage the autobiography. Good Condition. All signed pieces come with a Certificate of Authenticity. We combine postage on multiple winning lots and can ship worldwide. UK postage from £3.99, EU from £5.99, Rest of World from £7.99.